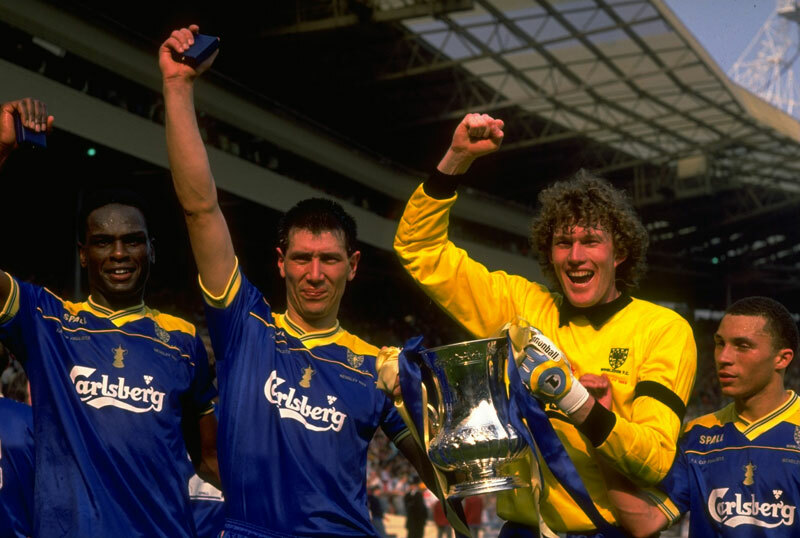 Crazy for it: Wimbledon, the littlest club in FA Cup-winning history, did a David-and-Goliath job over Liverpool in ’88, but which other Wembley wonders have made it on to the list…? So, the FA Cup Final’s not what it used to be, eh? Its status as football’s ‘special’ one-off showpiece occasion has been seriously dented over the last 15 or so years by the rise of the Champions League and its final at the end of May every year, so they say. And, lest we forget, this year to accommodate that event taking place at Wembley, for supposed pitch-recovery reasons the Cup final is being held a week before the end of the Premier League season – sacriledge, cry the traditionalists! 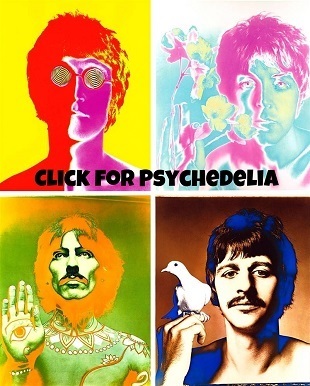 Well, when it comes to the FA Cup, I’m a bit of a traditionalist too – or rather a nostalgist. I love the notion of the underdog succeeding and all the romance of the Third Round – and, yes, ideally I’d like the Cup final to come after the country’s top division has closed down. Like it or not, that’s definitely not what we’ve got this year, folks. What we do have, though, is a Cup final that genuinely offers something of a welcome change. Or, in my eyes it does, at least. How so? Well, this year’s match will ensure for only the second time in, yes, a full 20 years none of the recent ‘big four’ (Manchester United, Chelsea, Arsenal and Liverpool) will run out winners of the Cup. Yes, it could be Man City who lift the Cup on Saturday – all right, they’re essentially the ‘new Chelsea’ with all their Arab-backed funds right now, but, hey, they haven’t been in a major final for 30 years. Or it could be Stoke who triumph come 5pm-ish – they haven’t won anything in 40 years. And, who knows, it could even be a decent match too. That would be something. 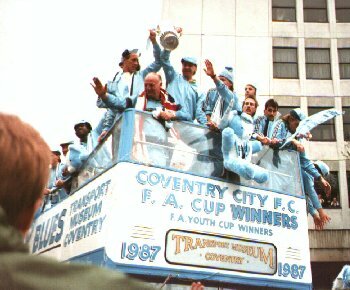 Talking of decent FA Cup finals, I’m afraid I couldn’t help myself, peeps… yes, I’ve had a trawl back through the old memory banks and, in recognition of Saturday’s (should be) finale to the English football season, have put together here a recollection of the best Cup finals – just for you good people. So I hope there’s no silly big-day-haircuts out there and all of you follow form and sing the national anthem and Abide With Me as you line up; if so, let’s kick-off this celebration of silverwear-seeking soccer history, shall we…? The patter: The ‘Matthews Final’ aka the classic old-fashioned Cup final. 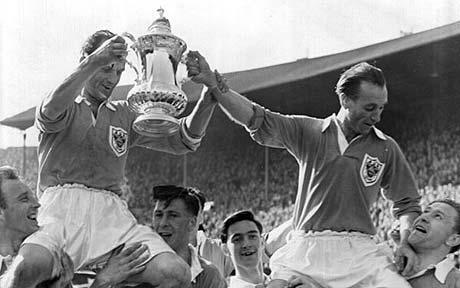 The first to be attended by The Queen herself and to date the only Wembley Cup final to feature a hat-trick (thanks to Blackpool’s Stan Mortensen), it’s rightly remembered though for the brilliant play of 38-year-old, vegetarian teetotaller ‘wing wizard’ Stanley Matthews. His side trailing 3-1 with 22 minutes to go, Blackpool’s Matthews created two of the goals that turned around the tie and won it. It was his third (and surely final) chance of winning an FA Cup final – and he took it. That’s not all, mind, in netting on the day, Bolton’s legendary forward Nat Lofthouse managed to score in every round of the Cup that season. It’s said that at the final whistle, although on the losing side, he stood and applauded Blackpool and (no doubt in particular) Matthews’ achievement. What a game. The man of the match: Duh, Stanley Matthews, silly. The moment of the match: The winning goal – Matthews crosses into the box and Bill Perry meets it to seal The Seasiders’victory. Words to the wise: What Ian Holloway wouldn’t give for that man Stan in Blackp0ol’s starting line-up right now, eh…? The patter: Are you watching, Arsène? This is how you do it. Yes, it’s the match through which Arsenal clinched their first domestic double. 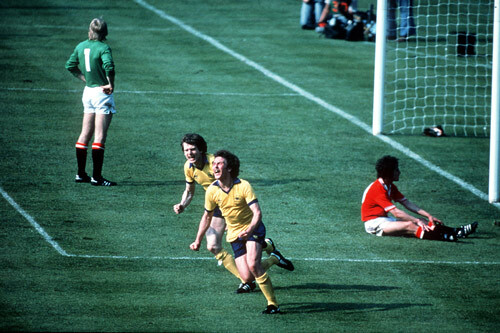 All three goals came in extra time – the second, Arsenal’s first, was the first FA Cup final goal to be scored by a substitute; Eddie Kelly being the history man. Arsenal’s second goal is much better remembered though, it being the winner. It was a long range effort from surely the football equivalent of pop music’s one-hit-wonder, loveable, long haired, lanky Cockney, Charlie George. The moment of the match: The Shaggy look-alike lies on his back after scoring the winning goal, arms outstretched in celebration. Words to the wise: Whatever happened to Charlie George? 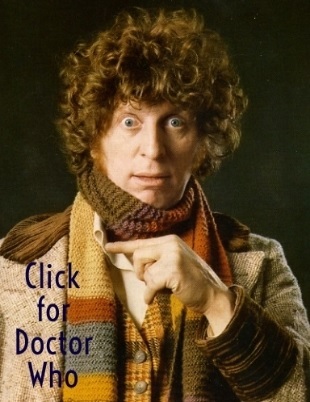 No really, what did happen to him…? The patter: The first proper Cup final upset of the modern era. 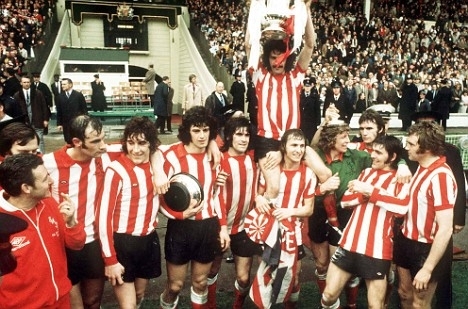 Believe it or not, this Sunderland team remains the last-but-two-side to win the Cup from outside English football’s top division. And they did it against the 1970s’ ‘mighty’ Leeds to boot. Indeed, it only took one boot to do it – Ian Porterfield scored the single goal in the 31st minute. As glorious a moment in the history of Sunderland as whenever Lauren Laverne smiles on the telly. The man of the match: Sunderland keeper Jimmy Montgomery, whose multiple saves preserved his side’s slender lead to the end. The moment of the match: Montgomery’s diving-Gordon-Banks-versus-Pelé-in-1970-like save from Leeds forward Peter Lorimer in the second half. The patter: And here’s the last-but-one side from outside the top flight to win the Cup (West Ham were the actual last in 1980). Granted, the Manchester United that Southampton beat here wasn’t the Charlton-Best-Law superstar stuffed side of just a few years before, but it was still Man United, who had still finished third in the First Division and Southampton (who’d finished more than 20 league places below them) still pulled off a humungous upset by claiming the Cup in their stead. It remains The Saints’ only major trophy triumph. The man of the match: The brilliantly old-school-named Billy Stokes, scorer of the game’s only goal. The moment of the match: That man Stokes netting with just eight minutes to go. The patter: Two colossuses of English football collided here and, unlike in similar Cup finals of recent years, didn’t disappoint; yes, they provided goals, goals, goals. And then more goals. In all truth, though, it had been a bit drab until the 86th minute. Looking comfortable with a 2-0 lead from the first-half, Arsenal were cruising, but then Scot midfielder Gordon McQueen and Northern Irish international Sammy McIlroy scored in very fast succession to level the match. 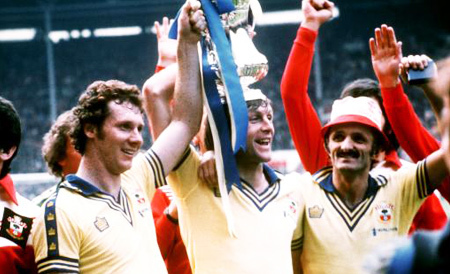 Amazingly, though, Arsenal spared their blushes, thanks to striker Alan Sunderland finishing off a break-away move and winning them the Cup with just one minute to go. It was rightly dubbed the ‘five-minute final’ by the media. The man of the match: Alan Sunderland, the main man with the curly lion’s mane. The moment of the match: After stretching to slot home the winning goal, Alan Sunderland wheels away at high speed, his face contorted in delight à la Marco Tardelli in the ’82 World Cup. The patter: It was a Thursday night and, frankly, given the original match hadn’t be a stunner, this replay didn’t promise much. But thank goodness the introduction of penalties to decide a major final instead of falling back on a replay hadn’t happened yet, because on this Thursday night we’d have missed out on… well, only the greatest FA Cup goal of all-time. Even before that terrific moment, the match had been a bit special. 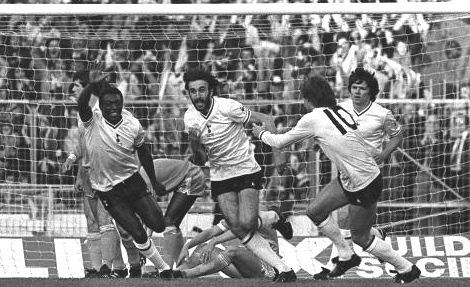 Within the first 10 minutes both Tottenham’s Argentine import Ricky Villa and Man City’s Steve Mckenzie (with a thunderbolt of a volley) had scored. Then, in the second-half a penalty put the latter side in front, only for Garth Crooks to equalise with 20 minutes to go. And then it happened, six minutes later, Villa (inexplicably wearing the number five shirt – surely back then a centre-back’s number?) 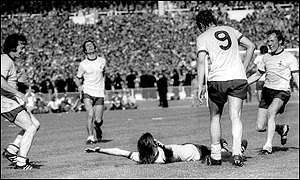 jinked past three players in the City box and struck home to win Spurs the Cup and go down in Wembley lore as scorer of the best goal ever witnessed at the stadium. Until Gazza scored for England against Scotland in Euro ’96, of course. The man of the match: Ricky Villa, obviously. The moment of the match: Ricky Villa’s goal, obviously. Words to the wise: Diego who…? The patter: Spurs versus Coventry – why did the latter bother to turn up? Spurs were packed full of stars (Hoddle, Waddle, Ardiles and Clive Allen), had finished third in the league, and reached the League Cup Semis; Coventry had no famous names apart from the legendarily long-careered Steve ‘Oggy’ Ogrizovic in goal and an ageing Cyrille Regis in attack – oh, and hadn’t won anything after 104 years in existence. But, not only were the ultimate odds overturned, also – in a bit of a surprise – these two combatants delivered a top quality match. Scoring his 49th goal of the season, Allen put Spurs in front after just two minutes, but Coventry equalised five minutes later through midfielder Dave Bennett. Five minutes before the break, Tottenham captain Gary Mabbutt struck to put them ahead again, only around the hour-mark for Bennett to deliver a top cross and Coventry forward Keith Houchen to put it away with a diving header (a goal voted the season’s best in a BBC poll, in fact). Yet, as so many great matches do, this one had a sting in the tail, or rather in a knee, as it was off Mabbutt’s patella that in extra-time the ball deflected and ended up in the Coventry net to hand the Midlanders an unlikely, but wonderful triumph. Indeed, so enduringly delighted with this slice of (bad) luck were the Coventry fans that years later one of their fanzines was still called ‘Gary Mabbutt’s Knee’. The man of the match: Gary Mabbutt, of course – few players can claim to have scored twice in a Cup final, let alone at both ends. The moment of the match: Coventry manager John Sillett dancing on to the pitch at the final whistle. Words to the wise: Actually, why did Spurs bother turning up for this final? I mean, there’s no “1” in the year “1987”, is there…? The patter: Right, despite what happened the year before, this one would definitely be a cake-walk. 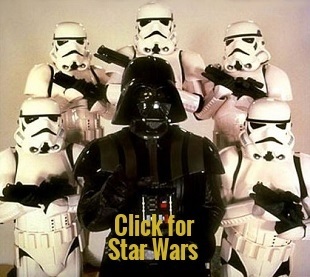 Er, wouldn’t it? Liverpool were without question the side of the ’80s – they almost won every major domestic trophy going each season in that decade. Seriously. So when the already League Champions lined up against the lowly (but top league club) Wimbledon, there could only surely be one result. Wimbledon, though, unforgettably were the self-styled ‘Crazy Gang’; a team of practical jokers that was so tightly-knit they looked like a cross between East End wannabe hoodlums and the Marx Brothers. Perhaps we shouldn’t have been surprised then when on 37 minutes forward Lawrie ‘The Spaniard’ Sanchez headed them in front. 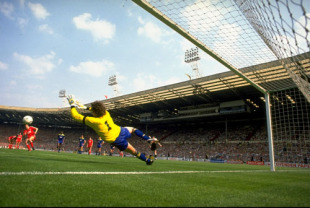 Liverpool threw everything and the kitchen sink and even an on-the-hour John Aldridge penalty at them (brilliantly saved by keeper Dave Beasant – the first ever Cup final penalty save), but it was no good; Wimbledon pulled off their biggest gag of all and left egg all over Dalglish and his cohorts’ faces. The moment of the match: It should be the goal, but really it’s the save. Actually, scrap that; it’s really at the end watching Wimbledon lift the Cup – it’s like watching a major sporting triumph in a parallel universe. The patter: Quite simply, the greatest Cup final of modern times. By a distance too. Having spectacularly come back from 3-0 down to win the European Cup the season before and having finished third in the league this time, Liverpool were hot favourites against a nevertheless talented West Ham side (who’d finished ninth that season). It was hugely against expectations then when – thanks to, first, a Jamie Carragher own-goal and, second, a goalkeeping fumble by Pepe Reina allowing forward Dean Ashton to tap in – the underdogs claimed a two-goal lead inside half-an-hour. Just four minutes later, though, and a pin-point ball from Liverpool’s captain Steven Gerrard was met by striker Djibril Cissé and the favourites clawed a goal back. Shortly after half-time they were level thanks to a stonking Gerrard volley, but ten minutes later a marvellously flukey, looping cross from the boot of Paul Konchesky put The Hammers back in front. That was it, surely; the Cup was West Ham’s? Nopes, in the 90th minute, Gerrard drove a 30-yard screamer into the bottom corner to equalise for a second time. Extra-time came and went with little incident and, just as they had in the Champions League a year before, Liverpool won the trophy through the penalty shoot-out, in which their keeper saved three times. Far from the upset then it looked it would be twice, but a spectacular, wholly satisfying Cup final nonetheless. The man of the match: In any other match, Konchesky or Reina would be sure-fire candidates, but clearly Gerrard played out of his skin in this game – unlike in the World Cup that summer unfortunately. The moment of the match: Gerrard’s audacious second equaliser. The patter: Probably the most controversial Cup final, this one is deemed by some – the misty-eyed nostalgics among them – as an iconic example of the rough and tumble era of English football, but by others as a bad-tempered, overly aggressive and sad indictment of the nation’s favourite sport at the time. And it certainly was the nation’s favourite, after a rambunctious first match at Wembley, which ended 1-1, the second- and third-placed clubs in the First Division met days later and 28 million people tuned in… to see them kick even more lumps out of each other. The culprits were the most likely ones; for Chelsea, captain Ron ‘Chopper’ Harris and Eddie McCreadie and, for Leeds, captain Billy ‘The Red-Headed Tiger’ Bremner and Norman ‘Bite Your Legs’ Hunter. Despite ill-timed crunching tackles, head-butts and kneeings, no red cards and only one yellow card were shown. Modern-day referee David Elleray (admittedly a real football disciplinarian) claims, had he overseen the match, he’d have sent six players off and shown 22 yellow cards. Well, there you go. Chelsea won the Cup by the way and, in doing so, qualified for the European Cup Winners’ Cup the following season and won that too. 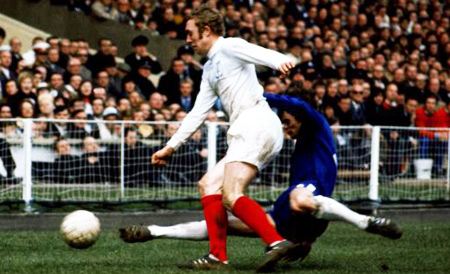 The worst man of the match: An England hero back in ’66, Jack Charlton was as guilty as anyone when it came to putting the boot and head in and, in following the wrong player to exact retribution for a previous come-to, left Peter Osgood on his own to head in Chelsea’s equalising, first goal. The worst moment of the match: Probably Hunter and Chelsea’s Ian Hutchison trading punches as if they were in a boxing ring. 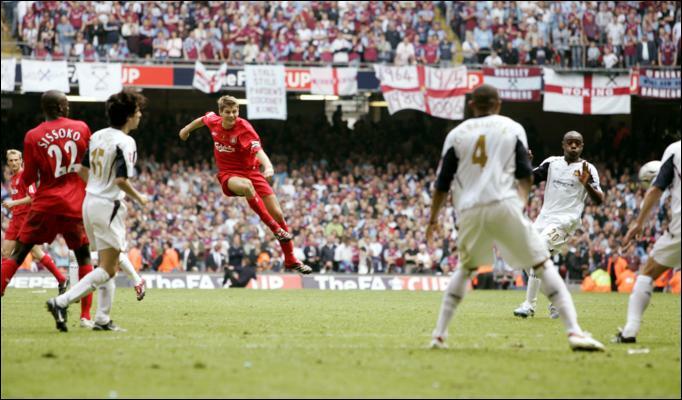 Give us the 2001 Cup Final Georgio… some Michael Owen magic never went astray. 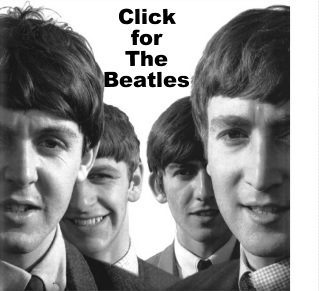 Thanks for your comment, Colly…! Though if we want to go retro – theres a great image from the 1974 final where a fan is sitting atop Wembley on the roof, watching the action. 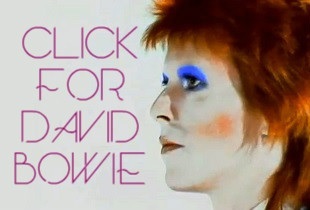 I’ve got it on DVD but I’m unable to find an image of it online. Great stuff though.